I love working directly with brand marketers (and their agencies.) Do you want to build a core following of Trader Joe's-style brand evangelists? I can help. I work on-site, speak at conventions and sales meetings, and work remotely. 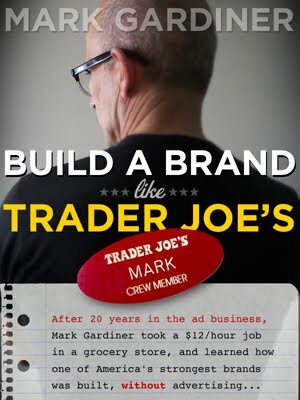 My recent experience, as described in "Build a Brand Like Trader Joe's" definitely helped to refine my cultural branding theory and sharpen the specific tools and techniques you can use to replicate Trader Joe's success. But my business experience is far broader than just Trader Joe's. I can bring the knowledge gained in 20+ years in the advertising industry, and on the client side -- including hands-on experience in some very successful rebranding exercises. If you've already read "Build a Brand Like Trader Joe's" you know that the techniques that great company used to build one of America's most valuable brands without even advertising are not complicated. But sometimes it really helps to have an outside perspective, and the help of someone who's an expert a communicating those 'simple' ideas in ways that encourage buy-in across your organization. Do you need a Cultural Branding Coach? Fill out this contact form, and I'll be in touch.